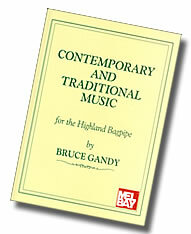 An interesting collection of marches, strathspeys, reels, jigs and hornpipes for bagpipe with the history of many of the tunes' titles. This is an excellent collection of tunes by a wide variety of composers. Author Bruce Gandy is one of North America's finest composers. His music is played throughout the piping world.